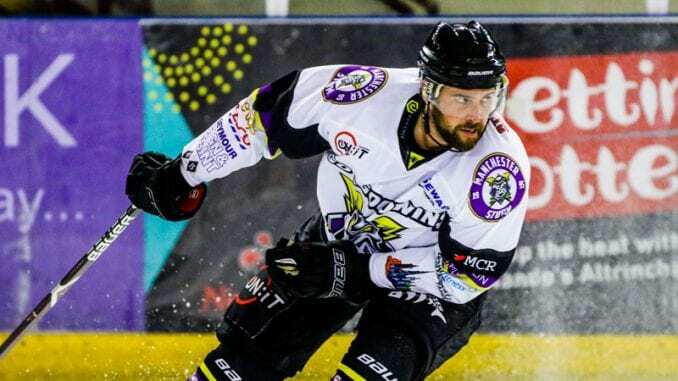 Manchester Storm coach Ryan Finnerty has admitted he wasn’t sure captain Dane Byers would sign for the club at first – after the 33-year-old called time on his career. The popular forward spent the last two seasons with Storm after signing from Kölner Haïe in Germany, but has decided to move into a business opportunity in Canada. 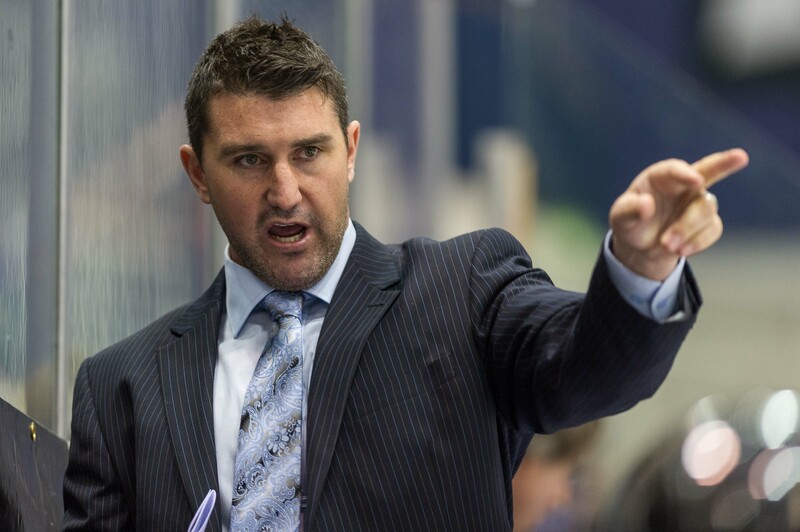 And Finnerty, who signed him, recalled the phone conversation he had to try and persuade him to come to the UK. “I can still remember my first phone call to Dane,” he told the club’s website. 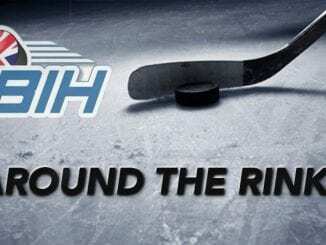 “I wasn’t really expecting him to sign with the Storm, but after a few minutes talking he was signed up. “Dane was really excited about playing in the Elite League and completing his MBA at the University of Salford. He planned on retiring last year, but he enjoyed it so much he wanted to come back and play another year here again in Manchester. 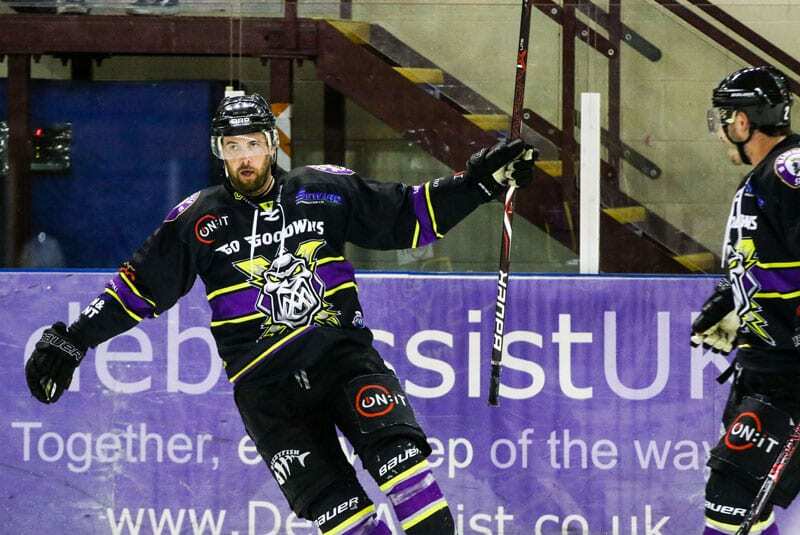 Byers, who iced for New York Rangers and Columbus Blue Jackets in the NHL, picking up 125 points in 111 EIHL appearances. And he thanked the Storm fans for everything they did for him during his time there and spoke more of the opportunity that has helped hm decide to begin the next stage of his life. He added: “I want to say thanks for the support over the last two years. Whether we lost or won they always cheered for us and that means a lot to me. “It was so much fun playing in the Storm Shelter when it was packed, the atmosphere was just electric. Everyone around the rink was so nice to my kids and family. “I did my Masters in Business last year and just got a job with my buddy in Saskatoon, Saskatchewan.